Flower lovers who live in San Francisco, or are visiting the city, should make their way to the San Francisco Flower Mart at least once to purchase flowers or simply checkout the amazing offerings. The San Francisco Flower Mart is a wholesale mart that dates back to the late 1800’s, when nature’s floral abundance filled the Bay Area’s land with a variety of flowers and flower growers came to sell their bounty near Lotta’s fountain in Downtown San Francisco. For three days out of the week, the growers would pedal their flowers to local flower shops and they would gather, in an ethnically diverse group, to fill the needs of a growing market. Around 1924, the flower-growing trade expanded in many parts of the United States and it flourished in San Francisco. Scores of growers from outside of the Bay Area would bring their flowers to San Francisco to sell, which meant the original location for the Mart wasn’t suitable any longer. 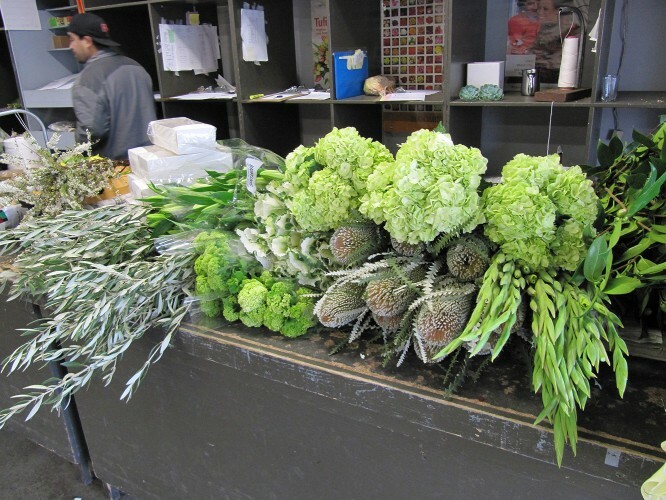 A new facility was in order, one that would meet the growing demand of the local and national market, so, so the San Francisco Flower Mart obtained a larger and more modern space that was designed specifically for it. This venue is where you’ll find the San Francisco Flower Market still today, at Sixth and Brannon Streets in the SoMA (South of Market Area) in San Francisco. September of 1956 was the big grand opening of the San Francisco Flower Mart (officially called the San Francisco Flower Terminal). From the start, the Mart was an icon in the flower industry. It had vendors selling cut flowers, plants, and flower supplies, just as it does today. The current Mart, however, has many more purveyors – more than 60 who also sell blooming flowers, cut varieties, and flower accessories. The San Francisco Flower Mart is no longer considered a “growers” market. It’s an industry-leading marketplace for floral wholesalers, and it’s one that offers product from all over the world. You can visit the San Francisco Flower Mart and pick up blooms, for trade or personal use, at great prices (the best discounts go to wholesale buyers). The Mart opens up early, so we suggest you get there when dawn breaks to get the most gorgeous flowers (only wholesaler buyers can arrive before 10 a.m.). If you do visit the San Francisco Flower Mart, or if you’ve been there before, feel free to leave us a comment below and let us know what you thought of it. We’d love to hear about your experience and what types of flowers you picked up. Flower lovers who live in San Francisco, or are visiting the city, should make their way to the San Francisco Flower Mart at least once to purchase flowers or simply checkout the amazing offerings. The San Francisco Flower Mart is a wholesale mart that dates back to the late 1800’s, when nature’s floral abundance filled the Bay Area’s land with a variety of flowers and flower growers came to sell their bounty near Lotta’s fountain in Downtown San Francisco.For three days out of the week, the growers would pedal their flowers to local flower shops and they would gather, in an ethnically diverse group, to fill the needs of a growing market.